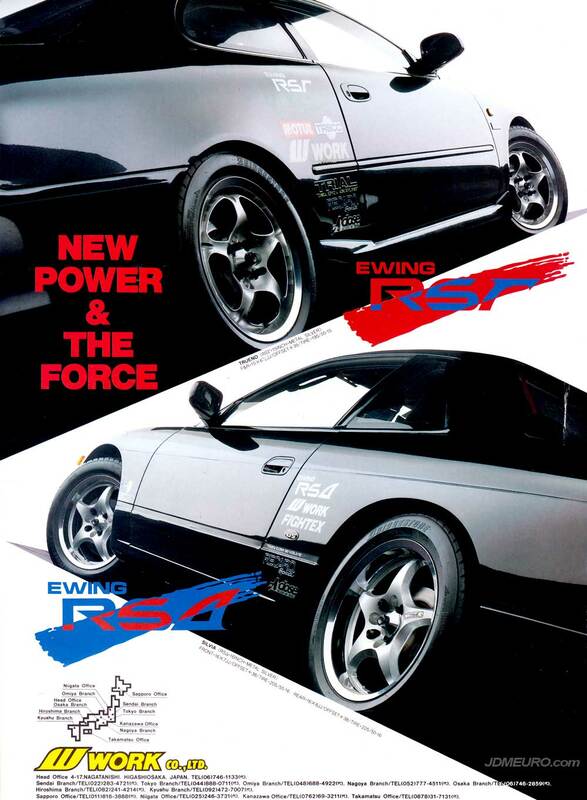 The Work Ewing RS Gamma and the Work Ewing RS Alpha are both JDM Wheels made in Japan by Work Wheels. The Work Ewing RS Gamma have a 5 spoke design and feature welded 2 piece construction. The Work Ewing RS Alpha also have a 5 spoke design and feature welded 2 piece construction. The interesting thing is the Work Ewing RS Gamma looks lie the negative of the Work Ewing RS Alpha. Pictured are the Work Ewing RS Gamma on a Toyota Trueno and the Work Ewing RS Alpha on an S13 Nissan Silvia. 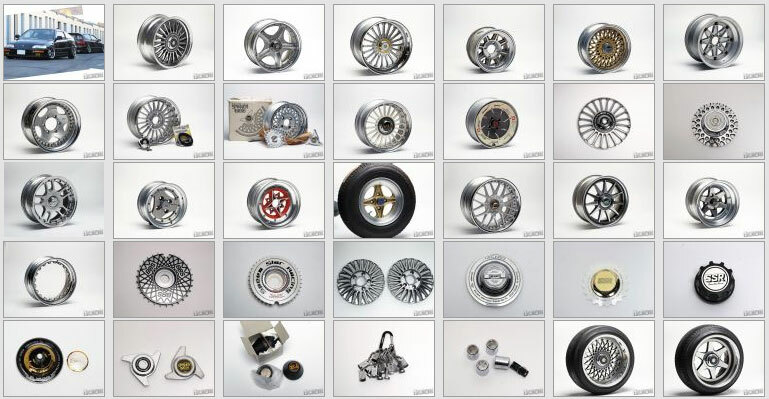 The Work Ewing I designates the Ewing Series JDM Wheels with a mesh face. This version of the Work Ewing I has the more updated sandwich mount 3 piece design with a step lip that was more popular through the 90’s. 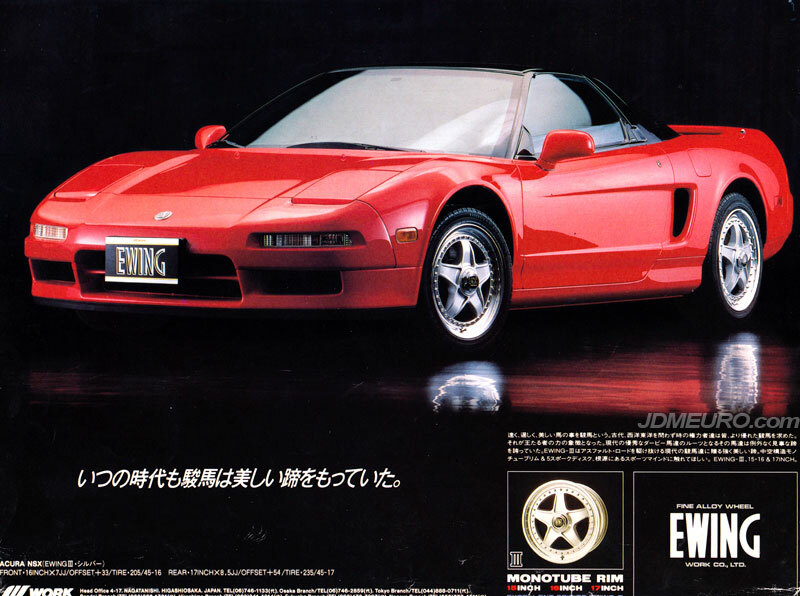 Classic to the Work Ewing series though the years was a faux centerlock design with hidden lug nuts. This version of the Work Ewing I was available in 16″ 17″ and 18″ diameters. 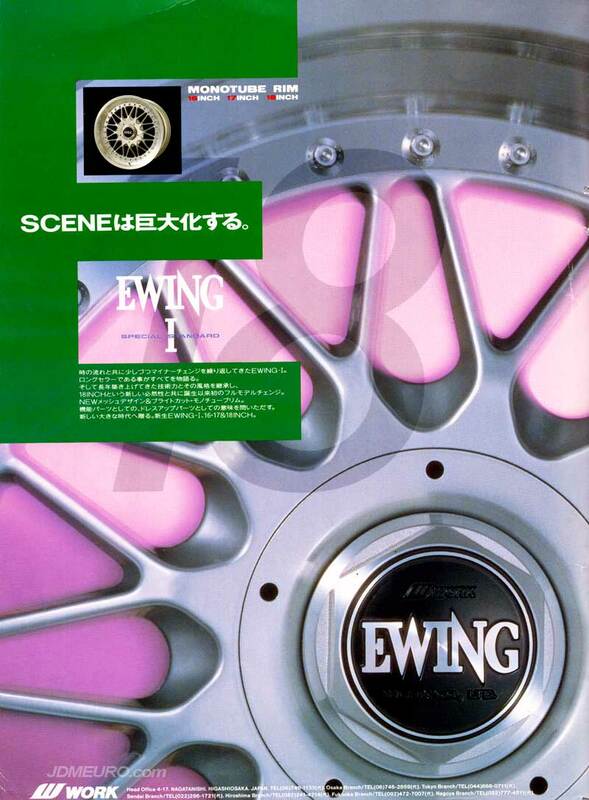 The Work Ewing Line are the Luxury JDM Wheels from Work Wheels. The Work Ewing III designates the 5 spoke offerings in the Work Ewing Line. This version of the Work Ewing III is available in 15, 16 & 17 inch models with a reverse style lip. 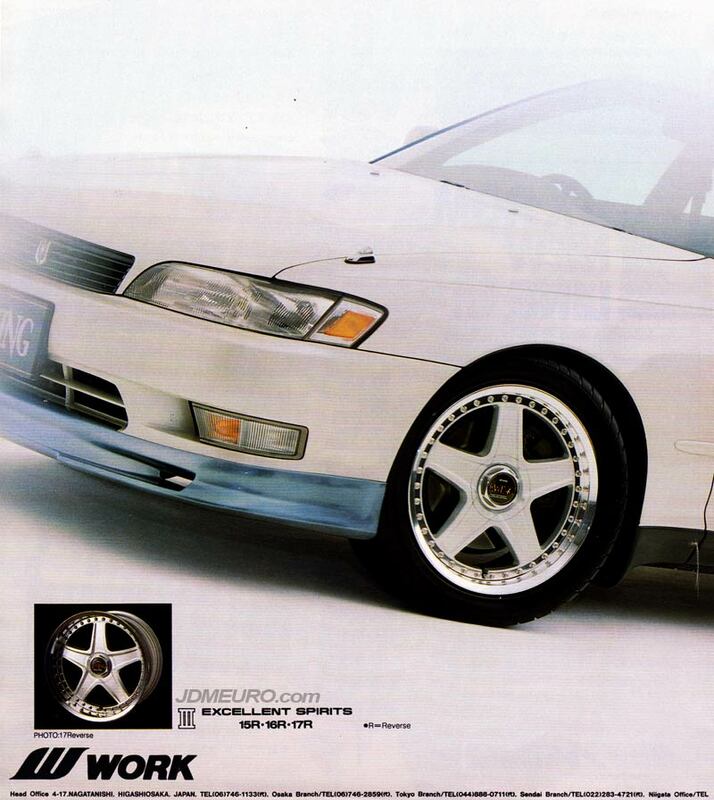 Pictured are the Work Ewing III mounted on a JDM Toyota Mark II Sedan. They say pictures are worth a thousand words. When I first came across pictures of this car I could only come up with 2 words: Clean & Simple. 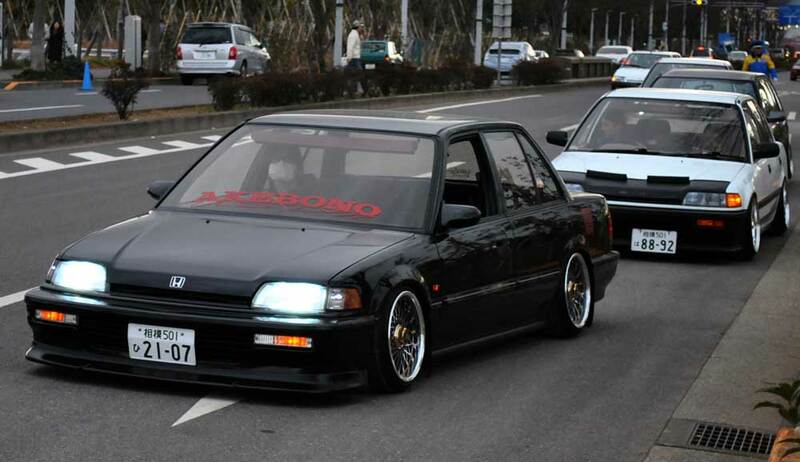 This EF civic is from the JDM motherland AKA Japan. It used to rock CST Demon Cambers, and it already looked really good, but these Work Ewing Mesh really set this car off!. I always think Chrome wheels look best on black cars, and this is proof. Those Ewings are clean, look at the detail on these wheels: chrome with black windows accentuated with gold caps and bolts. This picture was actually the wallpaper on my desktop gor a year! Ride height is perfect, brought down with a set of Cusco Coilovers. Can’t stop looking at those wheels. On the street, I don’t know hats up with the mask though haha. This car with its timeless looks will always be a classic… Bye Bye! wheels from the 80’s and 90’s. Can you believe that no one even used the term “JDM” back then? If anyone knows which issue of Import Tuner this is from please let me know, it’s a must add to my library.